Pluryal Meso I is a transparent, sterile, injectable solution made of hyaluronic acid and amino acids. Inject Pluryal Meso I into aging and sun-damaged skin to help strengthen and restore. Only authorized personnel in accordance with local regulations should administer Pluryal Meso I injections. Pluryal Meso I contains a unique formulation of hyaluronic acid and amino acids that helps to deeply hydrate, repair, and restructure dry, aged, or weakened skin. As a result, fine lines and wrinkles are reduced and skin is hydrated for a younger, supple, and firmer appearance. Pluryal Meso I contains 2 main classes of active ingredients: hyaluronic acid and amino acids. Hyaluronic acid can hold moisture within the skin, keeping the skin hydrated while adding subtle volume to support skin and reduce the appearance of wrinkles. Some amino acids can also help to add moisture within the skin, and some act as antioxidants, helping to protect the skin from free radical damage. Some amino acids can help heal wounds and other damage, and others help cells function, boosting their ability to repair wrinkles and other signs of aging. Amino acids can provide nourishment to the skin from within, strengthening connective tissue to help keep the skin firm, smooth, and elastic. 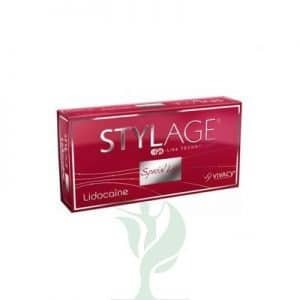 Hyaluronic acid sodium salt, L-isoleucine, L-leucine, L-lysine hydrochloride, L-proline, L-valine, Glycine, L-serine, L-alanine, L-cysteine, sodium bicarbonate, water.